Sunday, May 14th is Mother’s Day which means that now, with only about two weeks left to go until the big day, is the time to figure out what it is that you’re going to do in celebration of the wonderful person who gave birth to you, raised you, and has loved you unconditionally. Whether you’ve already bought mom a little something but would still like to take her out for some fun on the town, or you’re racking your brain for things to do and coming up empty, these events are the perfect place to take mom on her special day to show her much much she is loved and appreciated for all that she does! From beautifully spread buffet brunches to bustling street fairs, mom will be sure to treasure the time and thought put into making her special day that much more special. Take a look below at the various events happening this Mother’s Day! Join us at the beach on May 14th, to celebrate Mom. 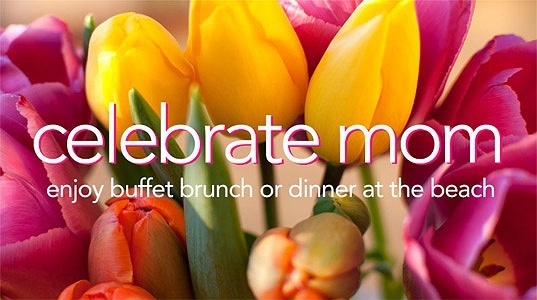 We offer two ways to make Mother's Day something special - a buffet brunch in the Grand Ballroom at The Crescent Beach Club for $59.95 per person and $29.95 per child plus tax with seatings from 11:00 AM to 2:00 PM, or a prefix dinner at Ocean Restaurant with seatings at 11:30 AM, 2:00 PM, 4:30 PM and our special sunset seating at 7:00 pm. Dinner is $55 per adults and $20 per child plus tax and 20% gratuity. 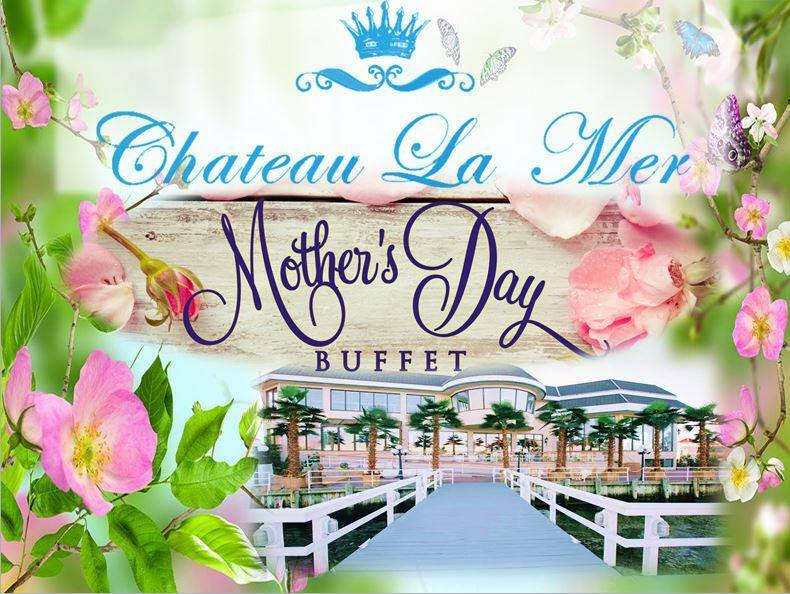 Take mom out for a delicious buffet style Mother's Day meal at Chateau La Mer! Pick from five different seating times available between 12:30 PM - 4:00 PM in the Atrium, Dockside or Bayview. From cold displays, to live attended hot stations, to a plethora of decadent desserts, mom and the whole family will have plenty of food to choose from and enjoy together on this special day. Don't miss out on the Westbury Market Fair & Flea Market, a unique outdoor shopping experience featuring tons of bargain on items like toys, clothing, cosmetics, antiques, and more! Bring mom out for a walk along the boardwalk while you browse gifts and goods made by local vendors at this street fair! Browse various vendors, look at handcrafted gifts, eat tasty food, and watch as the kids enjoy inflatable rides and face painting at this weekend craft fair! Come on board a luxury party yacht in celebration of Mother's Day with Sapphire Princess Cruises! $70 per adult 21 and over, $60 per senior ages 65+, $55 per teen ages 15 - 20, $45 per child ages 4 - 17, and free for children ages 3 and under. Take mom out for a delicious Mother's Day brunch at The Meadow Club where she can enjoy unlimited mimosas, a hot buffet, cold display tables, and a decadent dessert table! Be sure to make a reservation beforehand! Take in a beautiful view overlooking the Great South Bay while you dine on tasty appetizers, soups & salads, entrees and desserts at VIEW’s Mother’s Day celebration! Pick from three different session times and painting projects throughout Mother's Day and enjoy an artistic event, with free mimosas, with mom! Feast on an unforgettable buffet with a brunch station, carving station, cold display, and more, all in commemoration of Mother's Day! Pick from four different seating times (10 AM, 12 PM, 2 PM, 4 PM) and enjoy a terrific Mother's Day brunch in the Sea Star Ballroom with complimentary mimosas. Then explore the aquarium afterwards! Browse and buy from local Long Island producers, artisans and growers this Mother's Day weekend at the new Long Island rest stop and welcome center! Head to the Hatchery on Mother's Day with the whole family for an afternoon of fun! Moms accompanied by their children get free admission! Take mom out to see what's available for purchase at the new antique and collectibles market! From sports cards, to comics, to vintage toys, you'll be sure to find a little bit of everything!